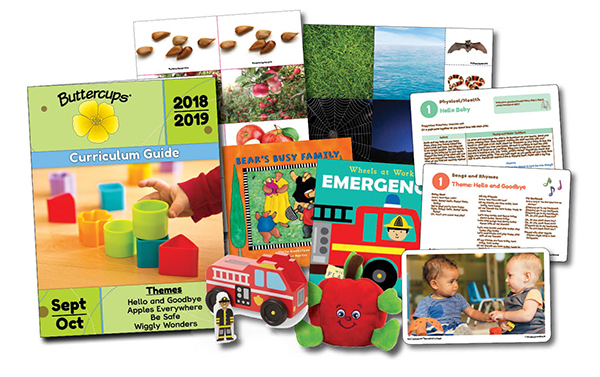 Each Teacher Pack includes a Curriculum Guide, Children's Book, and learning materials to be used throughout the month. 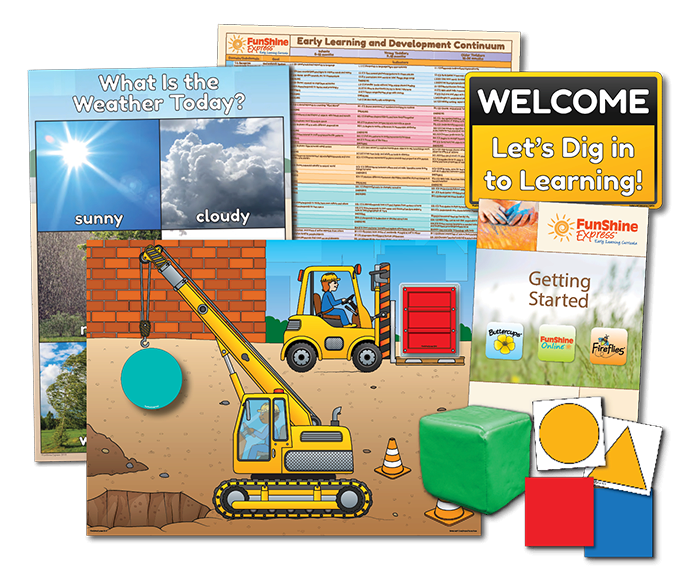 Order a Starter Pack for each of your classrooms with your first order of the curriculum year. This will be used throughout the curriculum year and is not included with your order. 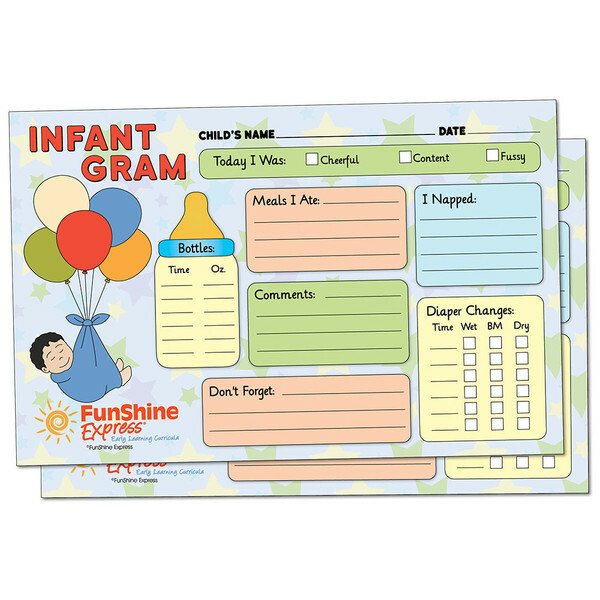 Quick way to keep parents informed of a child's diaper changes, bottles, nap times, mood, meals, and more. Order one for each Teacher Pack with your first order of the curriculum year. 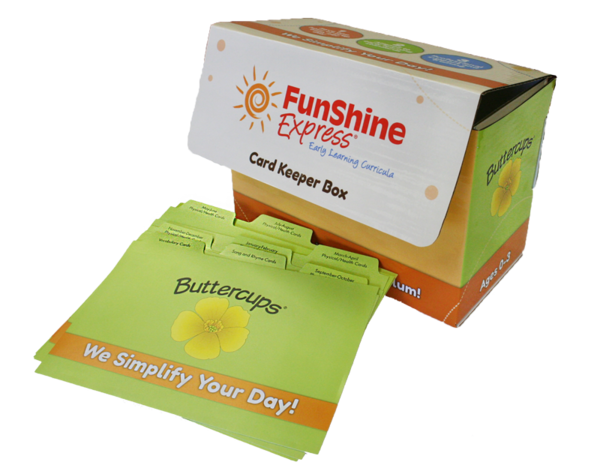 Collect and store the Song and Rhyme, Physical/Health, and Vocabulary Cards from the Buttercups Teacher Packs.